Nintendo releases its new portable console with two detachable controllers. 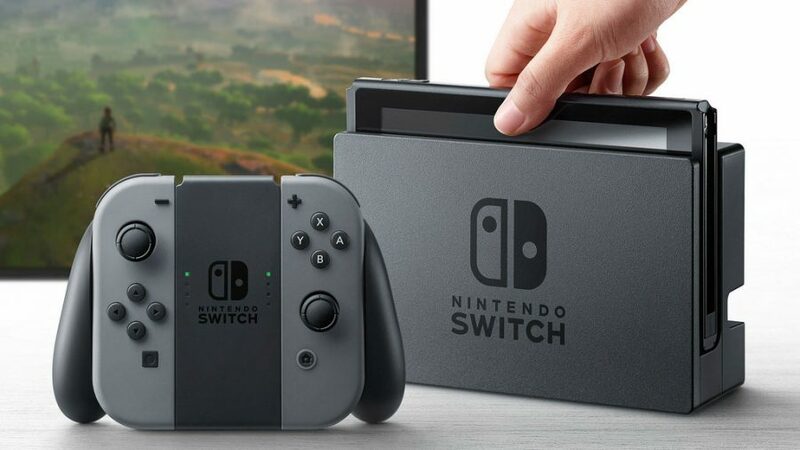 First announced in March of 2015, the Nintendo NX, now renamed the Switch, is the newest console produced by Nintendo and said to be released on March 3, 2017. This new console, also like the 3Ds, is portable, and includes a docking station that switches it from the screen to the TV. The new console also has two differently connected remotes, similar to the Wii remotes, on either side of the console. These two remotes are attached to the Switch itself and could be taken off/place back at any time. Along from all of this happening, this doesn’t mean Nintendo will discontinue the 3Ds. Of course, it’ll be difficult to sell out a new product without beta-testing it first. Nintendo has held a big presentation on January 12, 2017. The console itself will have a 720p HD touchscreen display and also come with 4GB of RAM, along with 32GB of internal storage. It also has an input for an microSDXC card, with a cap of around 512GB and other ports for SD cards, since the system downloads take up about 30% of the internal storage. Imagine having everything that powers it behind the screen, along with it being portable to use on the go. “Think of it as your home console” Nintendo stated at an earlier presentation. The console will cost $250, along a $300 bundle with more storage and an included game, but even with the bundle, the Switch will only have a handful of games for it when it launches (including Legend of Zelda: Breath of the Wild and a rumored Pokemon game), because Nintendo would like it see how it does before supporting the console. With all the free multiplayer Nintendo has had for its devices, the Switch will now start a paid/subscription like multiplayer service when it’s released. This will be introduced when the free trial period finishes that comes with the console at launch; like the Xbox Gold and Playstation Plus, the subscription would also include special deals and monthly free games to all paying subscribers.